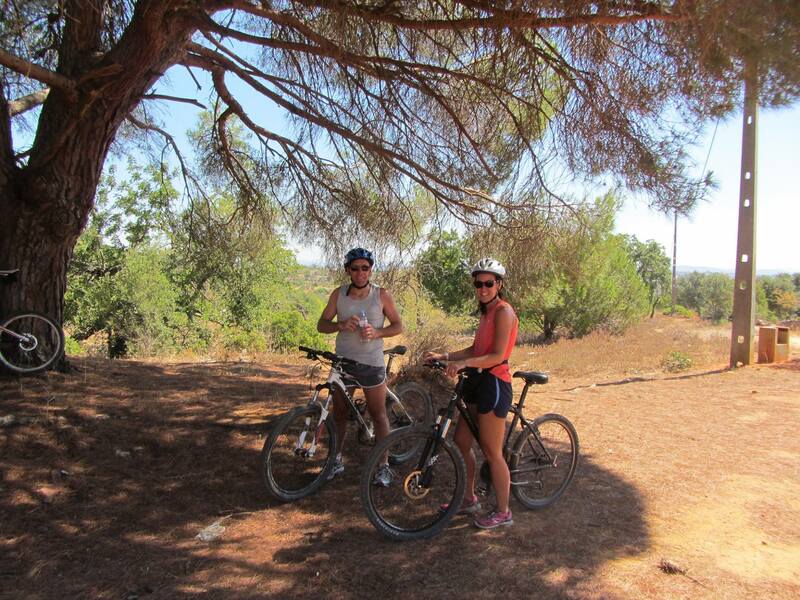 Use the form below to contact tour Albufeira to Algibre trails directly. 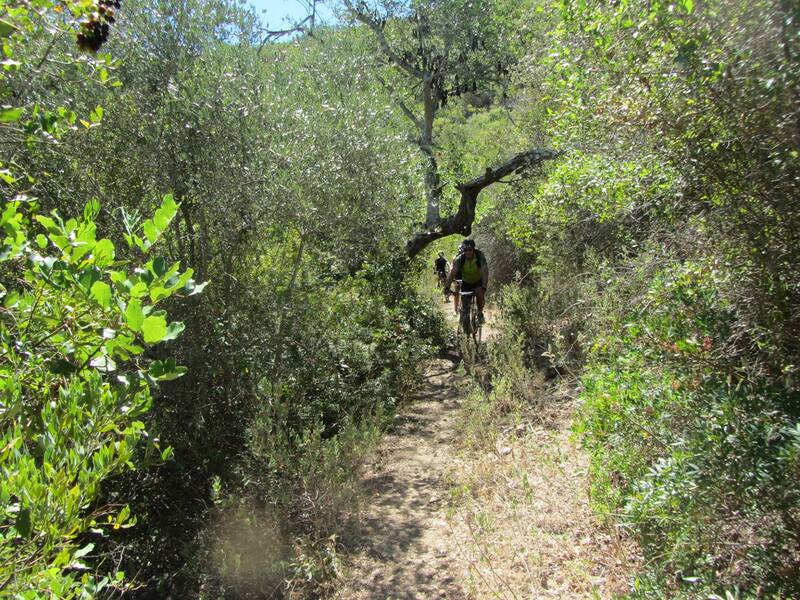 This ride is a great example of typical mountain biking in the Algarve. What we lack in bike parks and manmade tracks we more than make up for in good cross-country mountain biking on fluent, naturally flowing trails. 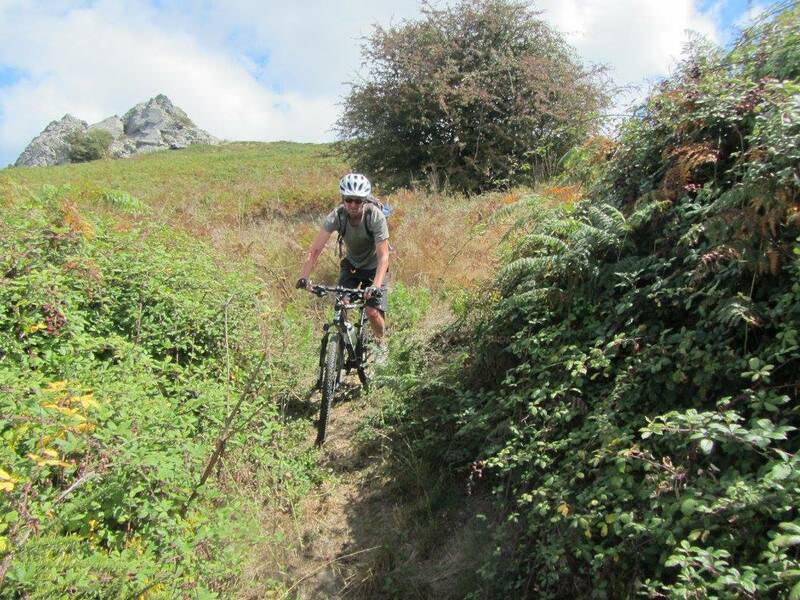 It’s an ideal tour for fit and competent mountain bikers who want to go that bit further. We head out to the so-called Barrocal area, where there is an abundance of technical trails and we can tackle as many hills as we want. 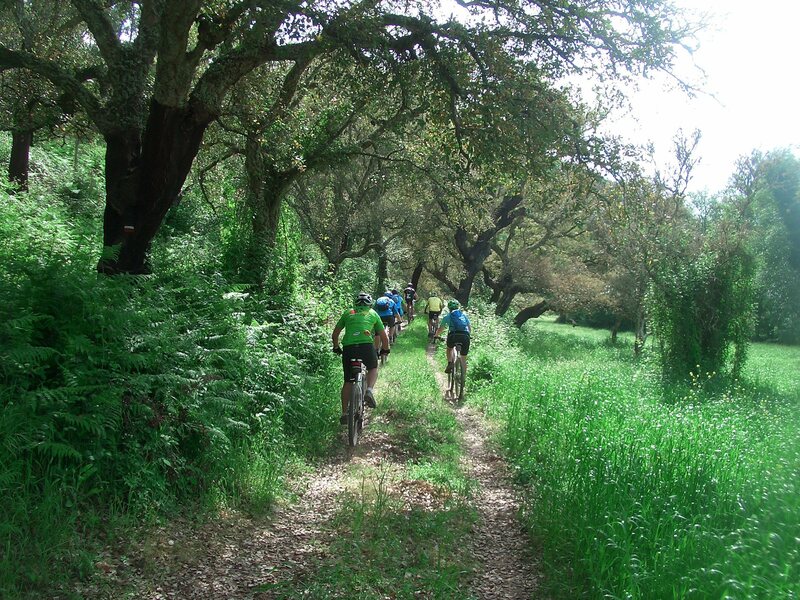 Our regular 40 km tour has a bit of both, but there are many options to extend or adapt this interesting and challenging ride. Starting in Albufeira we head North to the villages of Ferreiras and Cerro d’Ouro, where we soon encounter the Quarteira river valley. The valley’s southern location and steep hill sides protect it from forest fires and agriculture, preserving its lush vegetation which can be fully enjoyed as we cruise along the single tracks on both sides of the river. This route treats us to a few surprises, too, such as an old Roman bridge, still pretty much intact, and Paderne’s castle from Moorish times. 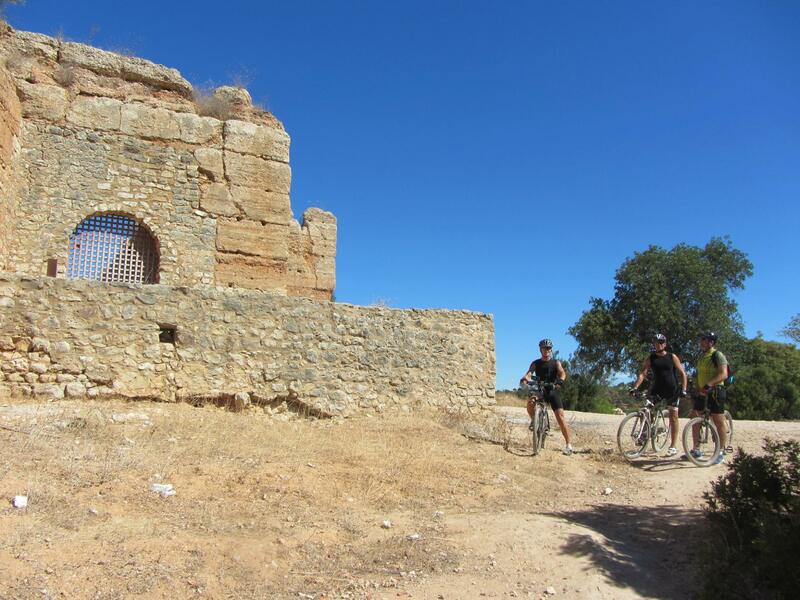 The hill top castle is a classic example of the Moorish Taipa building method using the local clay, but bikers may be more interested in the climb to get there or, even better, the technical descent to the river and Paderne itself for a well-earned break. 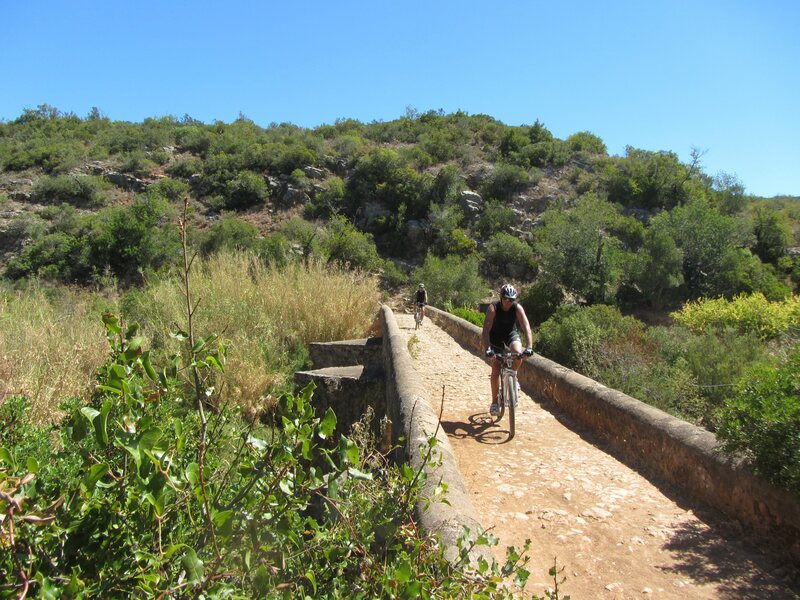 North of Paderne, one arm of the Quarteira river is known as the Algibre coming in from the hills around the market town of Loulé. 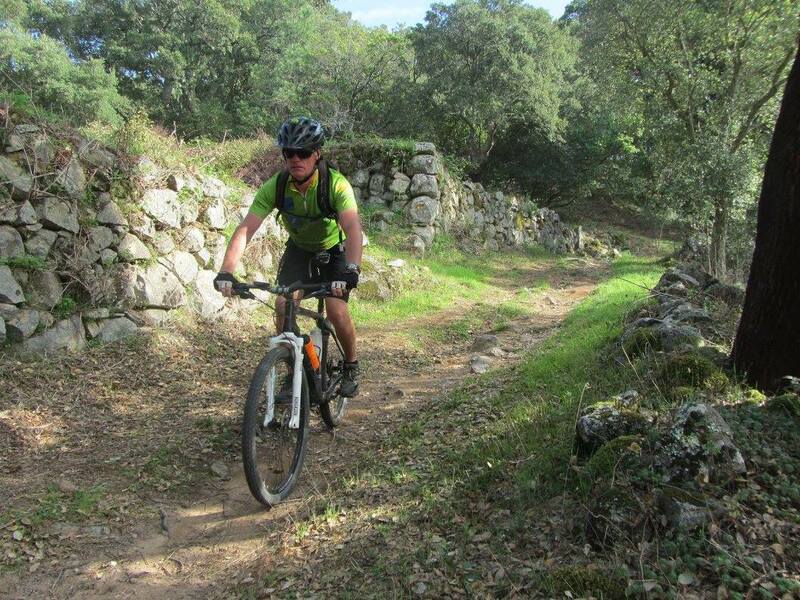 This region makes for great biking with extensive single tracks, surrounded by nature, that can only accessed by enthusiastic bikers and the occasional farmer or hiker. 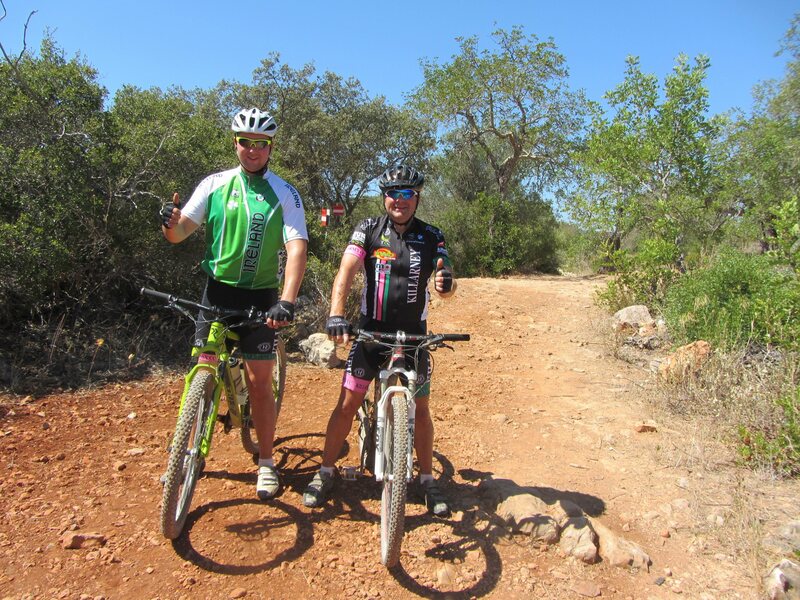 As we eventually make our way back to Albufeira, the western loop to Aldeia dos Matos and Tunes includes some surprising rocky trails through orange grooves and pine forests, as well as the last hill climbs of the day, which will leave us feeling satisfied with our efforts! Water, sun cream and energy gel/bar, which we recommend that you bring along.